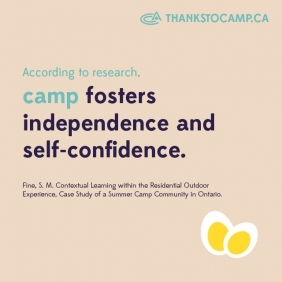 HOC can provide van transportation service to/from our summer camp in Northern Ontario from Toronto Pearson International Airport & the Toronto Marriott Airport Hotel. Who is our Van transportation service for? How long is the trip from the airport or hotel to the camp? It is a 3 hour trip and the van does not stop for lunch along the way, so please ensure your camper has eaten and has water/drinks for the drive. Does it matter what time of day my camper arrives? Yes. For Toronto airport arrivals/hotel pickups, it is best for campers to arrive/be picked up on the Sunday (first day of the camp week) late morning - early afternoon. Arrangements are confirmed on a first come - first served basis. The fees shown here do not include meals or other expenses that may be incurred at the airport (oversize baggage fee, sports equipment fees, etc.). Are fees in Canadian dollars? Yes. All prices shown here are in Canadian dollars. What is the best time for my campers departure flight / to meet at the hotel for drop off by HOC? We schedule our Van return transportation around the flight time booked by the camper (at the airport 3 hours before the flight). The best time for drop off/departure in Toronto is late afternoon to early evening Saturday (the last day of the camp week). Arrangements are confirmed on a first come – first served basis. What do I do next if I'm interested in this service? If you are interested in this service for your child(ren), please contact Corrie - Administrative Director in the camp office via email at corrie@learnhockey.com or via phone at 705-386-7702 as soon as possible. All persons entering Canada must carry a Valid Passport. Please check with your airline concerning additional identification requirements.